Growing weary of the sub-standard equipment from the Big Production Houses? Fed up with ugly fixtures that haven't been cared for since the day they left the factory? When it comes to xenons, Arc Light Efx is the place to go. Whether it's a feature film in Hollywood, a fashion show in New York, or a rocket launch at an Air Force Base, Arc's got the light. Our fixtures are meticulously inspected before each rental to ensure the highest standard of quality for our customers. Unlike the other guys, we're here 24/7 for customer support and technical service. 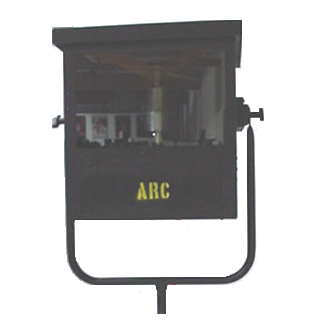 So the next time you're looking for xenon with a punch call Arc Light Efx. Looking to accessorize? Check out our dousers, color scroller-dousers, radio DMX controls, color gels, mirrors, stands and glass filters. We also carry DMX cable, twist-lock cable, and power distros. 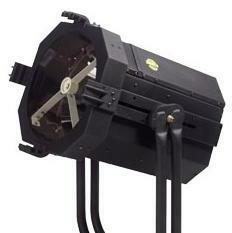 Compact 1000 Watt studio xenon fixture-9" reflector. Comes with head, bulb, power supply, case and head extension. Comes with head, bulb, power supply, case and head extension. Single phase 2000 watt xenon fixture. Single phase, 2000 Watt xenon, ballast-in-head design. Comes with head, bulb, case and (2) 50' power cables. 4000 Watt studio xenon fixture. Sleek-looking 4000 Watt ballast-in-head xenon fixture. Programmable 7000 Watt fully automated instrument. Twist-lock, camloc, DADCO Power Distros, etc.